As a mom, any extra bit of organization helps. 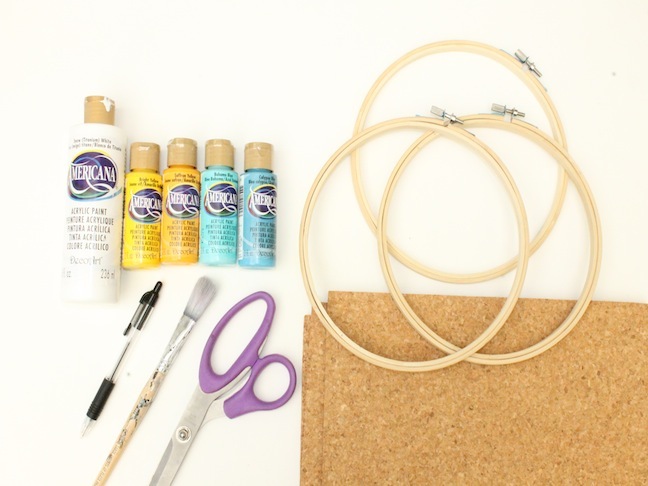 That’s why I decided to make these easy DIY embroidery hoop cork boards. The hardest part was deciding what to paint on them. 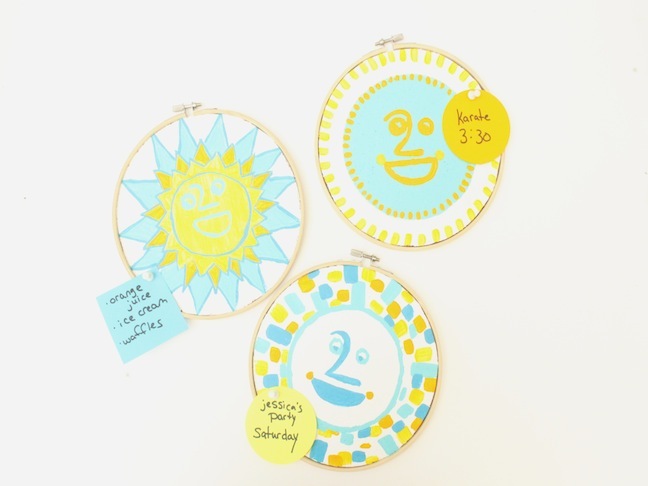 I chose to decorate them with retro sun faces, which brighten up anyone’s mood, even on those most hectic days. Step 1: Trace the outside of the inner embroidery hoop on the cork board square. 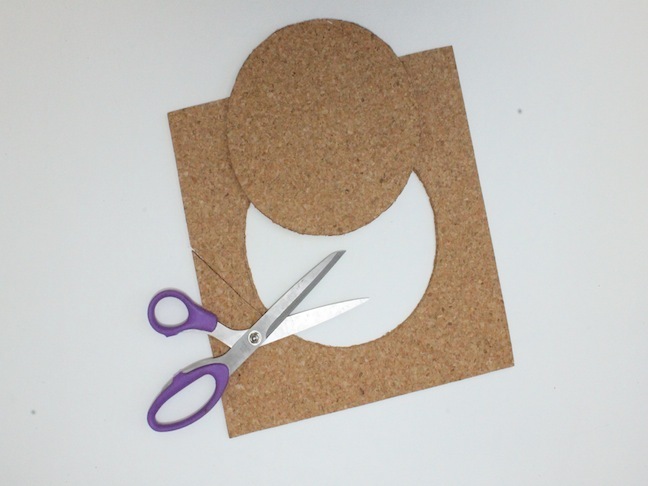 Step 2: Use your scissors to cut the circle out of the cork board. Repeat two more times. 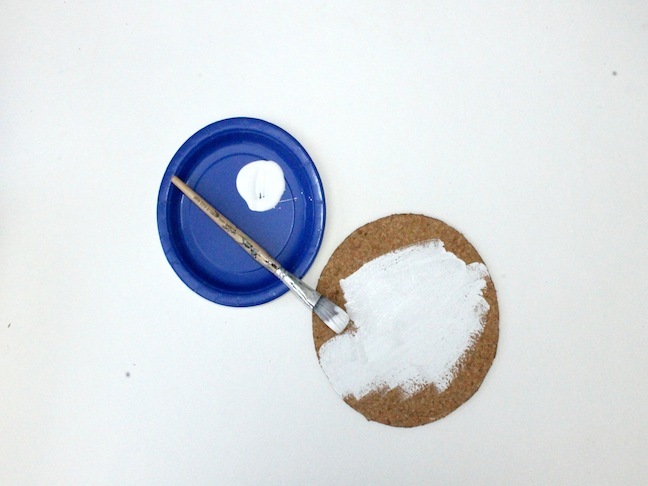 Step 3: Paint your cork board circle white. Let dry. 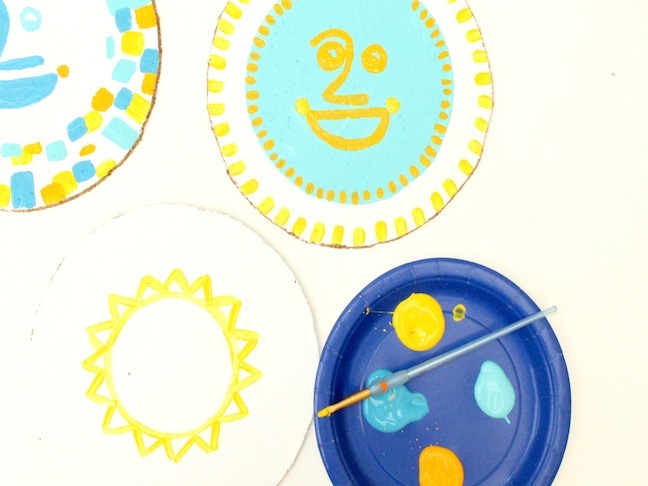 Step 4: Paint retro sun faces on your cork boards. Let dry. 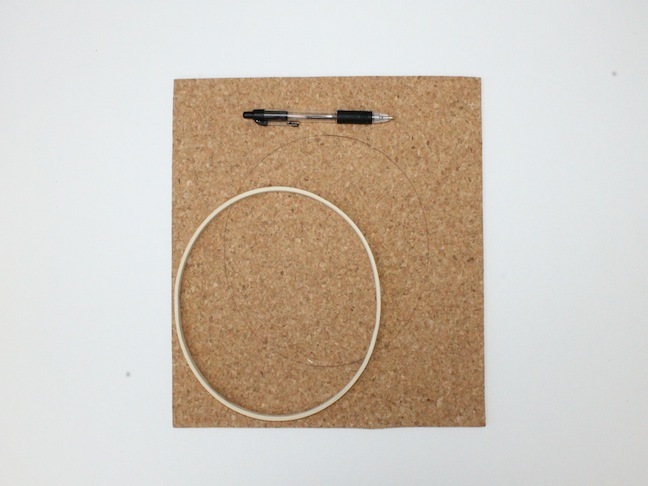 Attach the outer embroidery hoop to the cork board.